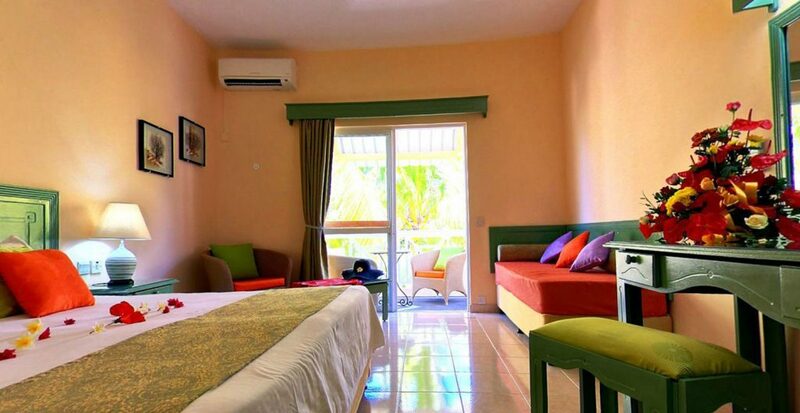 This hotel is a good choice if you desire a relaxing beachside vacation. This beach hotel offers complete value for your money with its pristine garden-facing rooms and delicious food. At the beach, you can enjoy various water sports like snorkeling and canoeing. The staff goes the extra mile to ensure a comfortable stay for you. 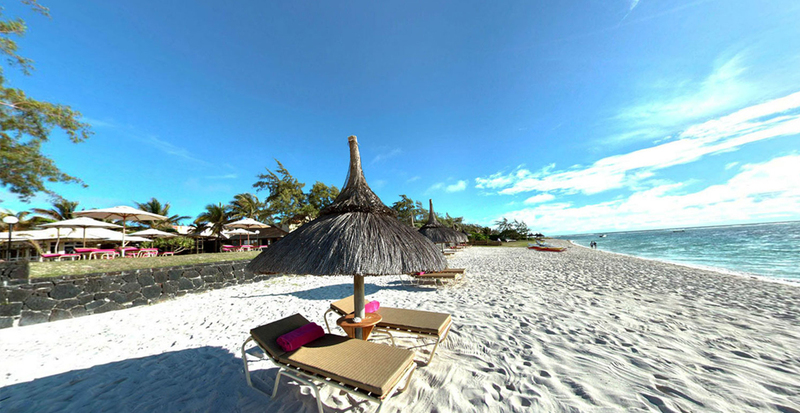 Nested in a secluded position near the Trou Deau Douce the Mauritius Hotel Silver Beach is a spectacular 3-Star property. 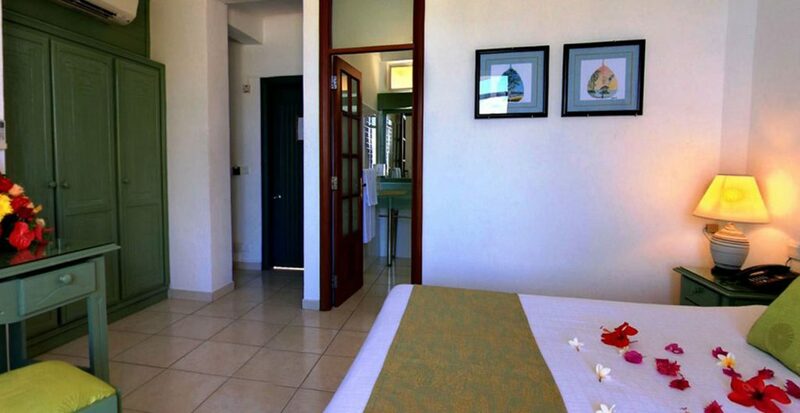 The hotel is the perfect ideal destination for quiet, refreshing and simple holidays with a peaceful ambiance throughout the whole resort, thus becoming a great getaway for couples as well as families looking for a peaceful location. 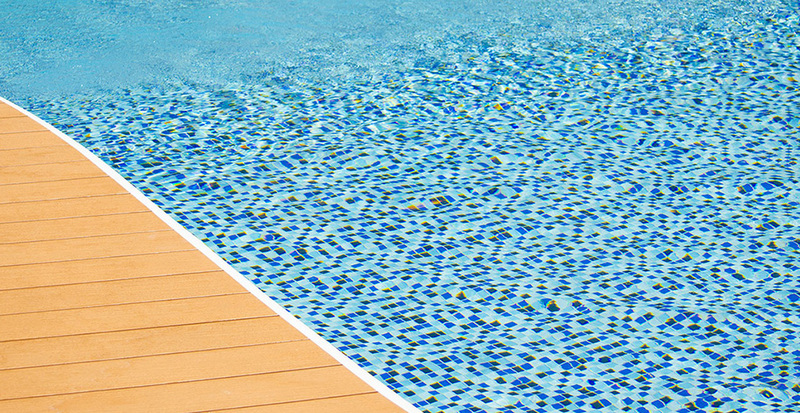 The hotel has a striking outdoor swimming pool for its guests to use. The hotel has a spectacular architecture. 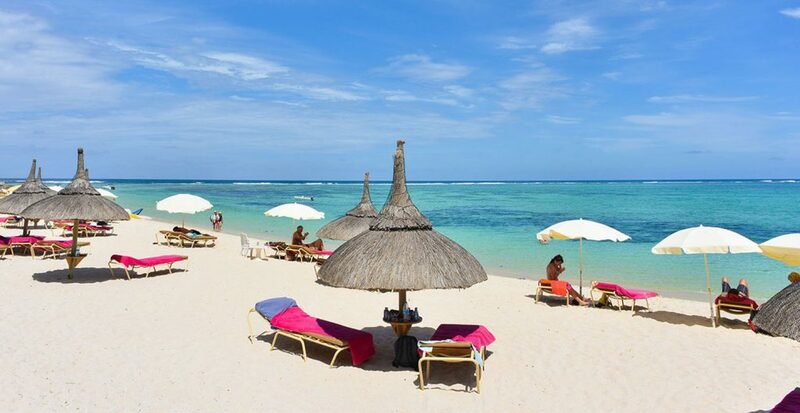 As far as the Hotel accommodations are concerned, the Mauritius Hotel Silver Beach has a wide range of rooms to offer for their tourists all over the world, starting from Double Bed Sea View rooms to Double Deluxe Suite. 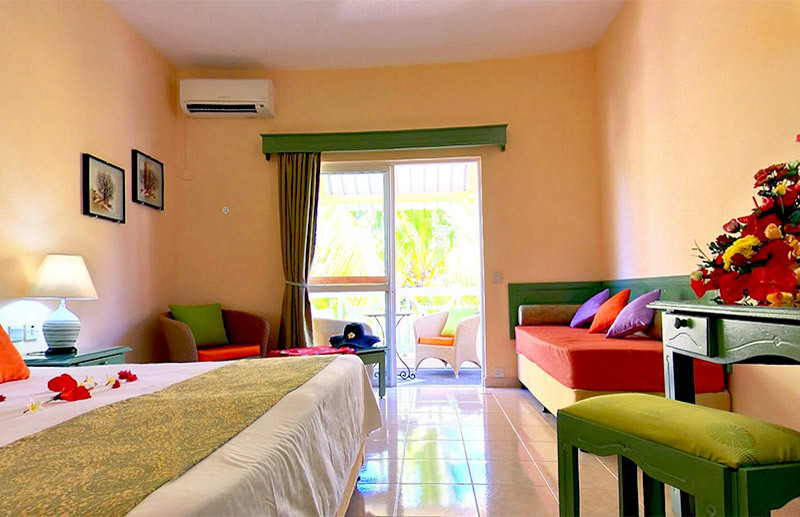 Pretty much every type of rooms is available depending upon the traveler's requirements. 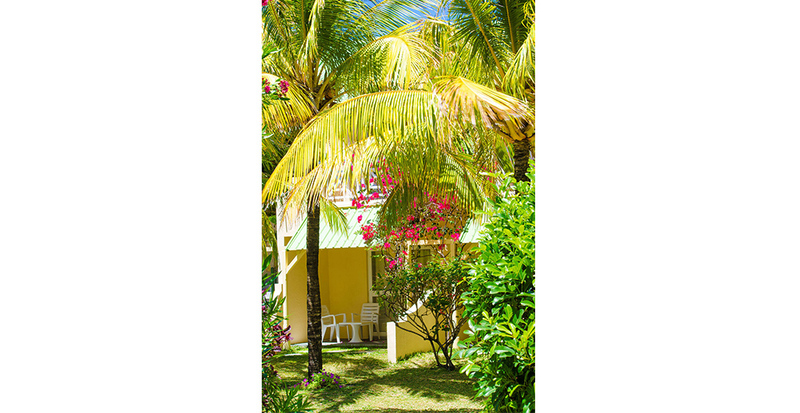 Want best Trou D'eau Douce Packages with this Hotel? 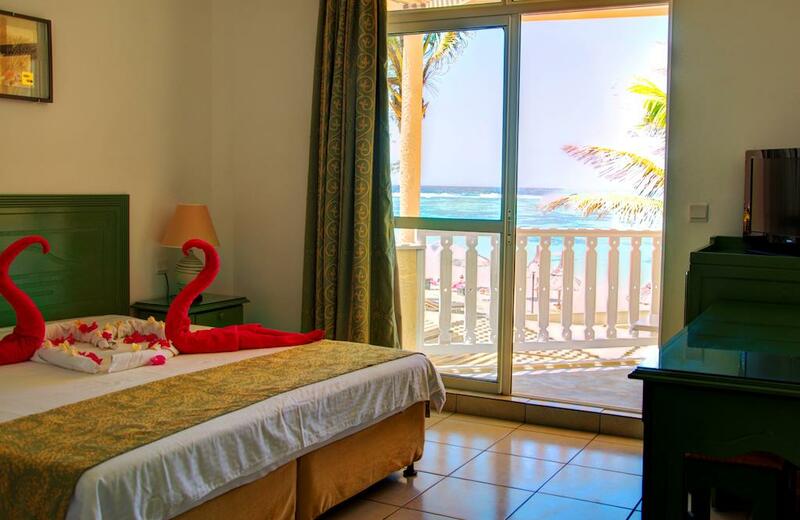 The Silver Beach Hotel has 60 fine rooms and each of them are individually decorated with retro and vintage themed components with a shade of trendy decors. Along with that each of the rooms has a minibar and for entertainments purpose guests will find Flat-screen TVs with satellite & cable channels, and other amenities include sea facing balconies and rainfall showerheads, Over Pool Sun Lounge and Beach Sun Lounge. In terms of the Room amenities, the Silver Beach Hotel offers facilities such as Phone, Coffee/tea maker, Free toiletries, Individually furnished, Individually decorated, Rainfall showerhead, Cable TV service Connecting/adjoining rooms available Turndown service Desk In-room climate control (air conditioning) Balcony. 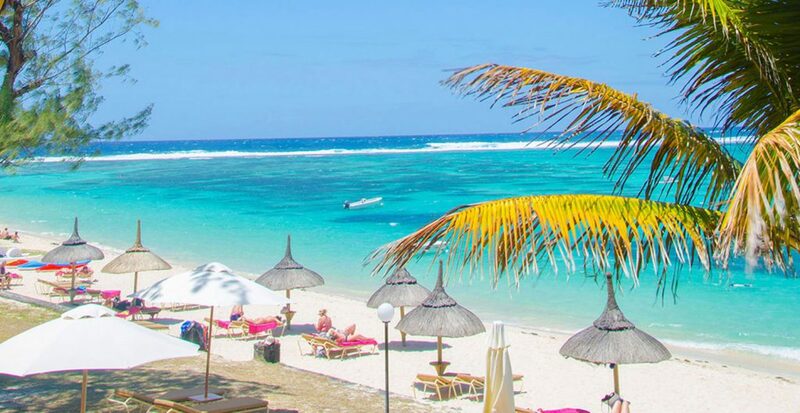 Like other marine sided Resorts and Hotels, this Mauritius Hotel Silver Beach also offers a whole host of Water Sports and Recreational Activities such as diving, snorkeling, kayaking and more. The Silver Beach Hotel also provides facilities to hire touring bikes to explore the hidden beauty of nearby islands by cycling. 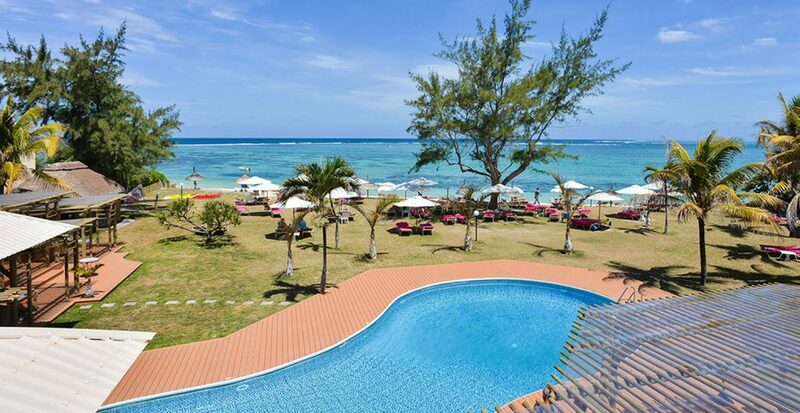 Talking about the in-house facilities that the Silver Beach Hotel offers such as Swimming pool, Restaurant, Local Bars, Pedalos, Table tennis, Beach Volleyball, Live entertainment, and Boutique. 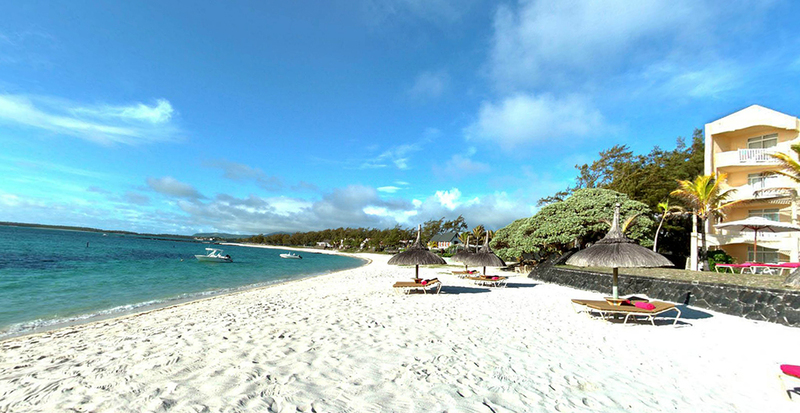 Mauritius Hotel Silver Beach has an in-house restaurant which is designed to create an ambiance of harmony. This restaurant offers a variety of culinary experiences to choose from. 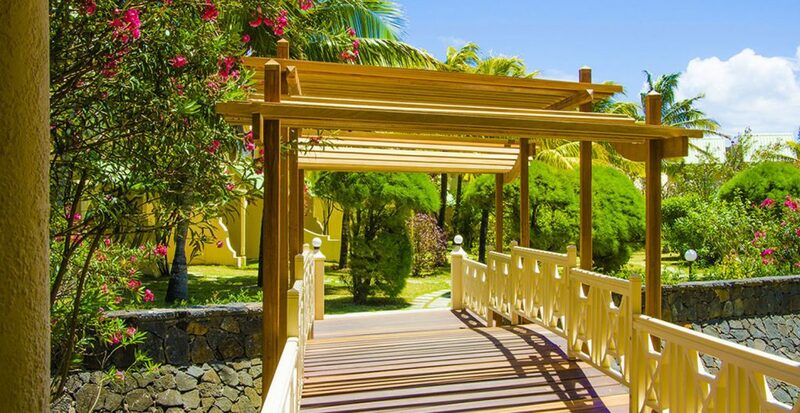 Indulge in the joy of relishing a mix of International and Mauritian cuisine. 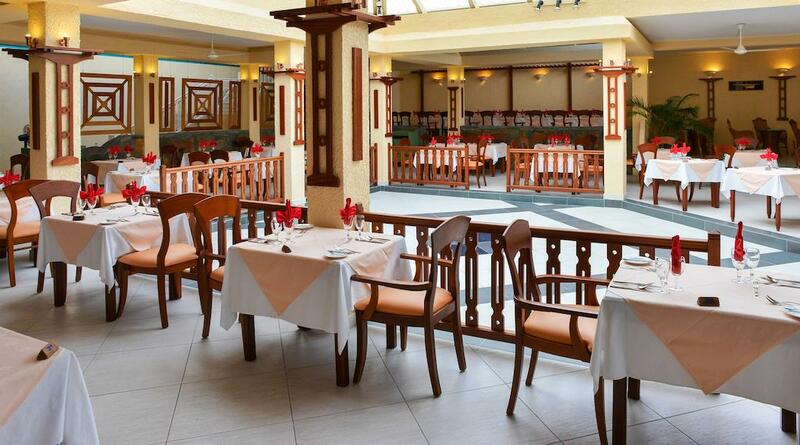 What adds to the experience is that the hotel offers daily full English or Continental Buffet breakfast, daily buffet lunch and buffet and set menus for dinner. The hotel also has a bar that serves a blend of cocktails and mocktails. 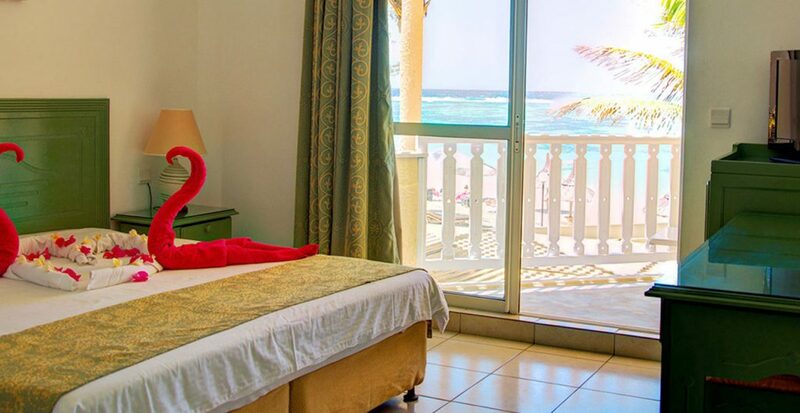 The beauty of the surrounding nature that makes every morning perfect with joy and happiness along with a peace of mind makes the Silver Beach Hotel an ideal choice for a vacation. What are the key amenities that Silver Beach Hotel offers? 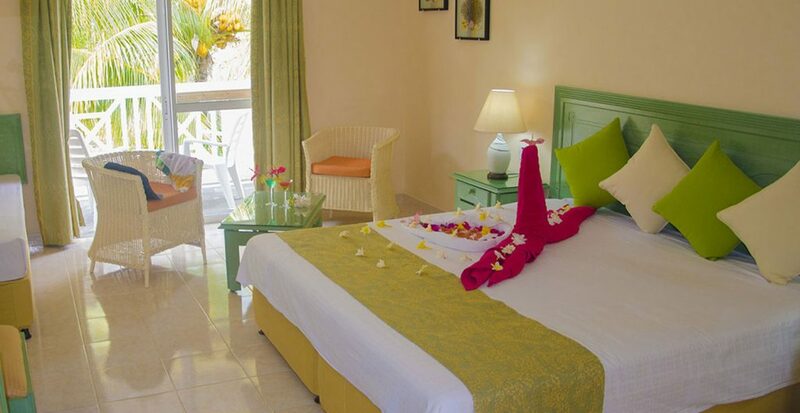 The hotel offers a number of services such as Babysitting, Outdoor Swimming Pool, Ocean Sided Gardens. Is Silver Beach Hotel a children friendly Hotel? Yes, the Silver Beach Hotel is a child-Friendly hotel with some of the amenities that are useful for children especially. Is the access to internet connectivity free? 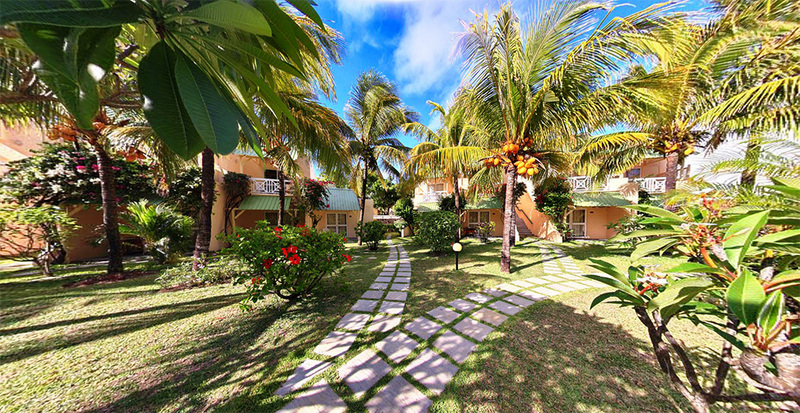 The Silver Beach Hotel has a 24/7 free Wi-Fi connectivity. How far is the airport from Silver Beach Hotel? 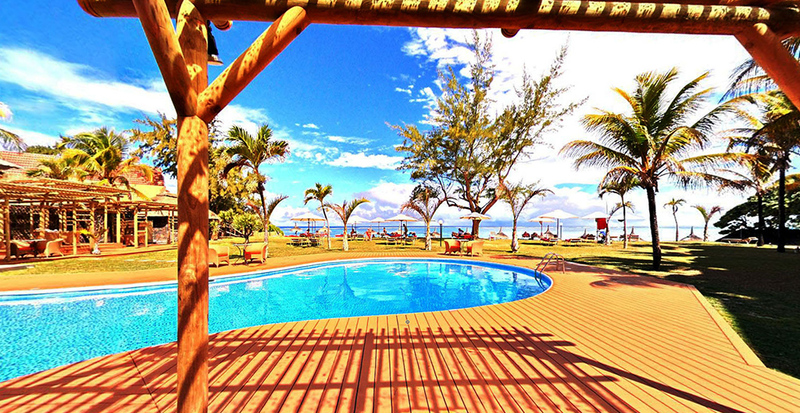 The airport is 43 kilometers away from the Silver Beach Hotel. What kind of rooms does the Silver Beach Hotel offer? 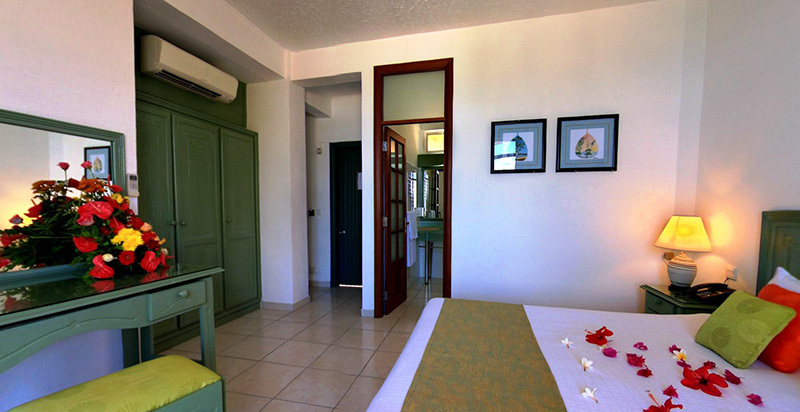 The hotel offers rooms with a sea view or a garden view to its guests. 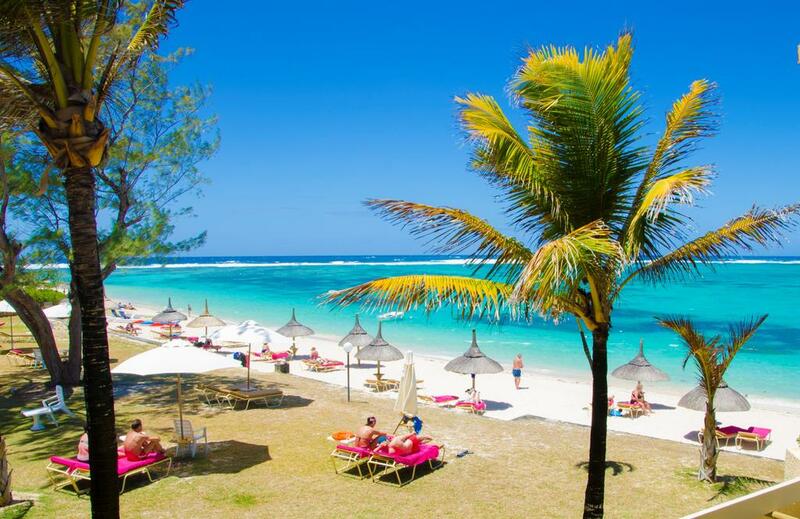 Overall, the Mauritius Hotel Silver Beach is the best place for a simple yet budget-friendly vacation along with the whole family, and it also offers some key amenities that are value for money as well. With the resort giving onto the turquoise and warm waters of the ocean, this hotel is an exclusive offer for the stay. A heavenly weather and full of the marine arena the place is really great to spend time while getting occupied with interactive activities and leisure such as beach volleyball, Sun lounge, and an outdoor swimming pool. 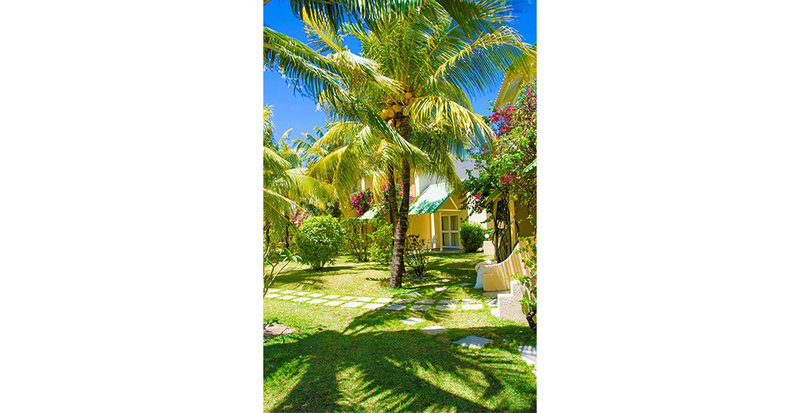 Besides being at a close proximity to the major attractions of the place like Ile Aux Cerfs, it is also on the other hand at a secluded position, away from the usual noise of the city which makes it more easy for the travelers to make a choice of their perfect stay. And yes, it is a must visit place to detoxify your daily life from all the hassles you go through.